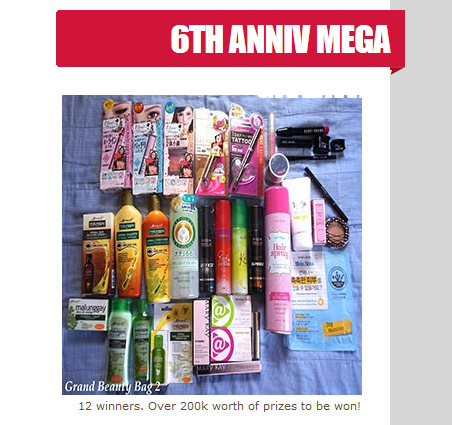 "This year's 6th Anniversary Giveaway is BIGGER, BOLDER, BETTER, and HEAVIER. LOL! We've got 28 brand sponsors and over 300 products worth 200k+, and for the first time ever, I am opening this contest to my International readers! It's high time that I thank my International readers as well. :)"
Happy 6th Anniversary @The Beauty Junkee ! Join and win P200,000.00++ worth of prizes!